Signatures are fluid entities. If you’re tired or hurried, your name might appear differently than if you were carefully signing a birthday card. Add all the different ways technology asks us to sign, with a stylus on a screen or with a finger on a tablet. I’m always amazed at how my name changes with the different methods I’m required to use. 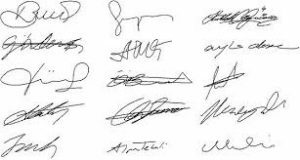 Next, we have to realize that signatures in general are being phased out. Recently, some credit card companies have eliminated the need for that identification altogether. So if one’s signature falls out of use, then again, the look of it will deteriorate. Only about a dozen states still teach cursive writing in their public school systems. 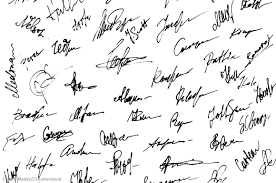 Many young people can not write their names, they print their signatures. Take the combination of all the above situations to get a feeling for the signature dilemma that is playing out in Florida and Georgia where ballot recounts are taking place. There the signatures of the mail-in ballots must be validated by what is on file in the states’ records. One woman said since she scribbled her name at the DMV and her ballot signature didn’t match up, her vote was rejected. She learned too late that she had been disenfranchised. She was not alone. Many young voters with underused signatures have been eliminated. Multiple lawsuits have been filed. “People should not be denied their right to vote because of penmanship, but that’s exactly what is happening in Georgia,” Sophia Lakin, a staff attorney with the A.C.L.U. Voting Rights Project, said in a statement issued before the election. As the battle rages, I wondered how people were previously able to sign an “X” for their names on legal documents. The answer is in the signing. 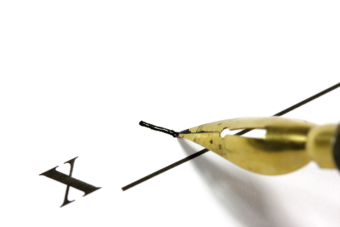 The fact that the individual is authenticating their presence by an “X” is sufficient to make the document legal. “A signature may be made (i) manually or by means of a device or machine, and (ii) by the use of any name, including a trade or assumed name, or by a word, mark, or symbol executed or adopted by a person with present intention to authenticate a writing. As the signature battle is now in full swing, I agree, let EVERY signature, EVERY vote be carefully counted. Justin Levitt, The Truth About Voter Fraud. THE BRENNAN CENTER FOR JUSTICE, 2007.